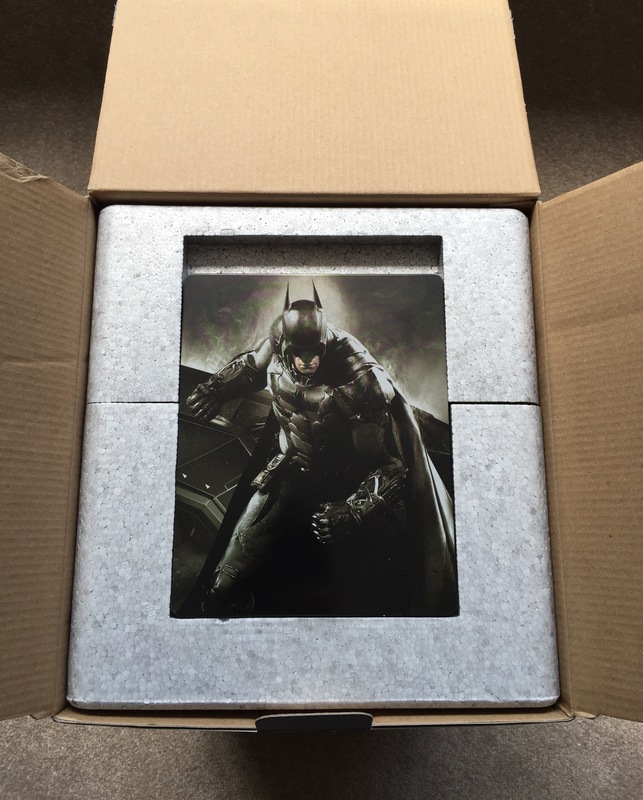 I preordered the Limited Collector’s Edition of Batman Arkham Knight (PS4) back in January. 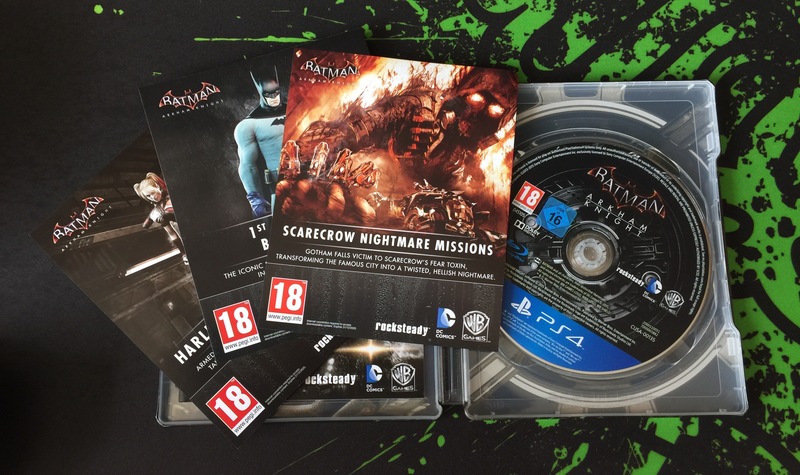 After initial delays and an expected release of June 23rd, I thought it would be a worthwhile wait to perfect a very anticipated finale to Rocksteady’s Batman gaming experience. I waited patiently, receiving bitter news that the collector’s edition had yet been further delayed! No, this was not another delay for the game, but only the collector’s edition. Amazon sent me an email stating that the manufacturers would release this edition no later than July 14th, but would be sending me a download code on release day so I can download and still play the game whilst I wait for the limited edition goodies. Kudos to Amazon for this, as it allowed me to still pay the game, despite not yet receiving the physical copy. My Limited Collector’s Edition was finally shipped and I took delivery on June 2nd, so just over a week after I should have received it. I am not too sore about the waiting experience, but has the limited edition really been worth it? Let’s take a look. Upon opening the limited edition pack I was greeted with the steel book/game itself, nicely placed on top. 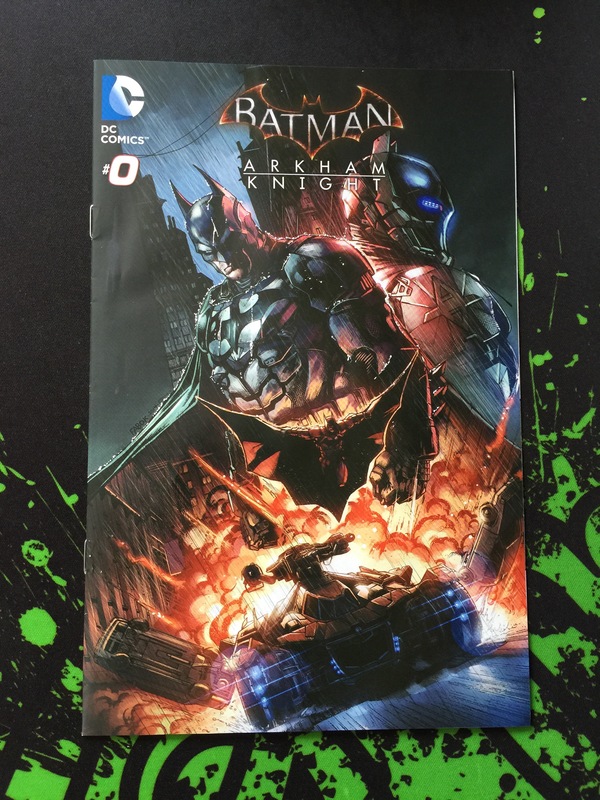 The steel book is well designed, and a definite collectors item. I was also pretty impressed with the art book, which has some really nice images and artwork. I was less than impressed with the comic book and statue. The comic book is only a few pages long and printed on very flimsy quality paper. And as for the main highlight of this collectors edition, the statue, it leaves a lot to be desired. It is made entirely from plastic, which overall is of a low quality and poor finish. On a positive note it does boast a light-up base, which is a nice touch. Fortunately, the actual game itself is very good and I’m having a blast playing through the intricate story. 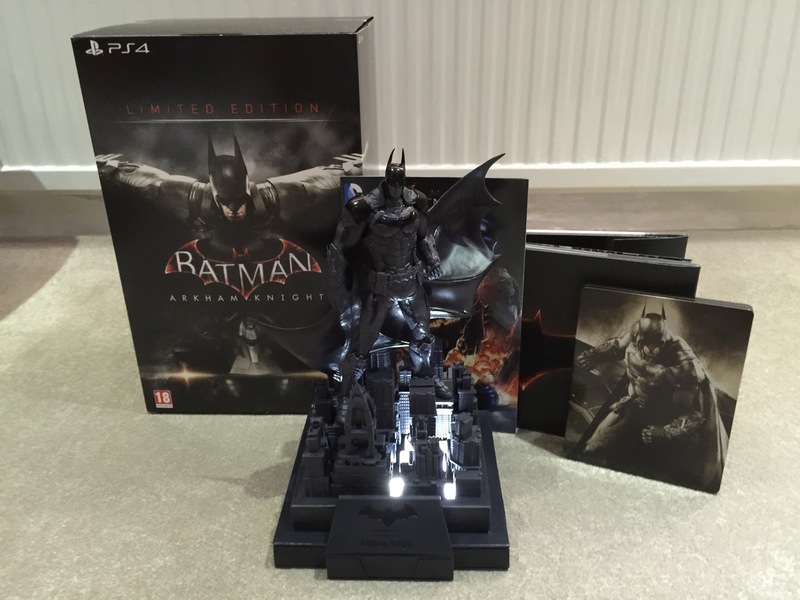 If you are looking to purchase Arkham Knight, you really do need to justify if you really want to be paying double the price for this collectors edition. Probably only for die-hard Batman fans and collectors.